A new crisis is developing on Manus Island, with the imminent closure of the detention centre. This session will discuss what is happening with the US deal, why this won’t end offshore detention and the current situation in Australia’s offshore camps. 2.30pm-3.45pm From Malcolm Fraser to today: Refugee policy—what are the alternatives? Both major parties remain committed to deterrence policies and the need to “stop the boats”. Malcolm Fraser’s response to the Vietnamese refugee crisis is often held up as a model for welcoming refugees. Annual intake was higher than today, but premised on stopping boats coming to Australia. This session will examine Fraser’s policies and discuss how we could end detention, avoid deaths at sea and implement a welcome refugees policy. 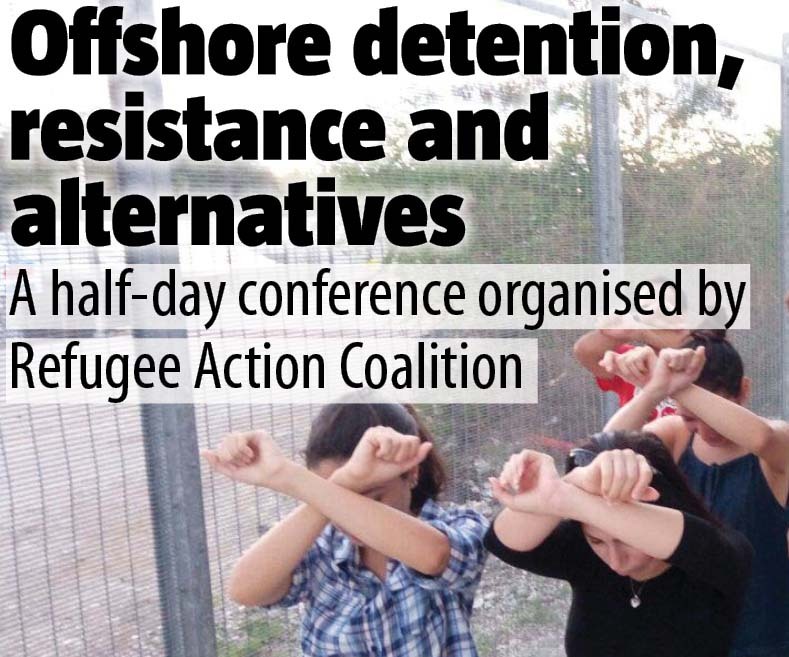 Our closing session will discuss the movement for refugee rights and next steps for the campaign, as well as what it will take to end offshore detention and win a welcome refugee policy, with speakers from a range of refugee rights activist groups.